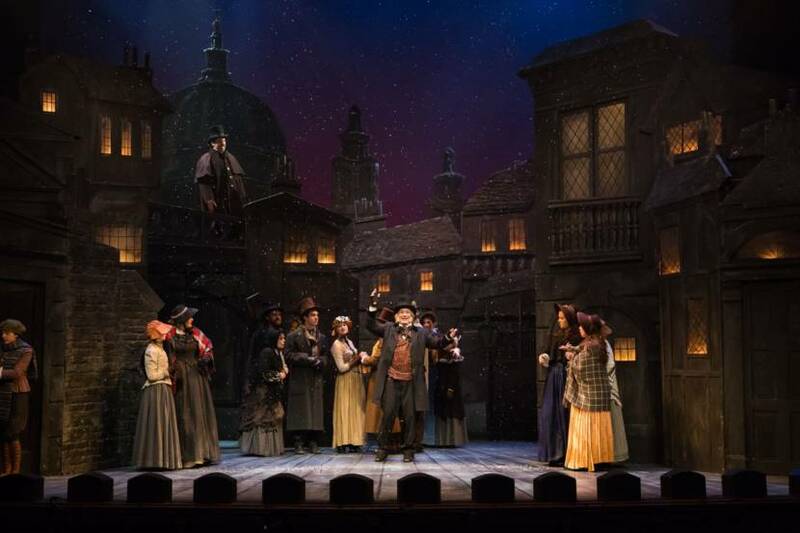 Berkshire Theatre Group's 2017 community production of 'A Christmas Carol.' The 2087 production will run Dec. 8–22 at the Colonial Theatre in Pittsfield. Pittsfield — Berkshire Theatre Group will present its 13th annual community production of Charles Dickens’ “A Christmas Carol,” adapted by Eric Hill and directed by Travis G. Daly, at the Colonial Theatre, 111 South St., Saturday, Dec. 8, through Saturday, Dec. 22. The classic holiday fable “A Christmas Carol” tells the story of miser Ebenezer Scrooge who is shown the error of his ways and reformed by four spirits. On Wednesday, Dec. 12, at 7 p.m., BTG will offer a sensory-friendly performance, which will be slightly modified to accommodate individuals with sensory-input disorders. Prior to each performance, select members of the cast will sing Christmas carols in the lobby of the Colonial. On Friday, Dec. 14, the Great Barrington Rudolf Steiner School Presto String Ensemble, led by Eileen Markland, will perform a Christmas-themed set prior to the performance. Tickets to “A Christmas Carol” are $39 for adults and $29 for youth age 16 and under. Tickets to the sensory-friendly performance are $5. For tickets and more information, see the Berkshire Edge calendar or call the Colonial ticket office at (413) 997-4444. Great Barrington — The Great Barrington Historical Society will present a showing of its latest exhibit, “An Old-Fashioned Christmas,” Saturday, Dec. 8, from 4 to 8 p.m. at their museum at its Wheeler Farmstead Museum. The event is scheduled to occur at the same time as the Southern Berkshire Chamber of Commerce’s Holiday Shop, Sip & Stroll. Participants will be able to trace the history of the Christmas tree from the Colonial period to the Victorian era, the 1950s and on to the modern day. 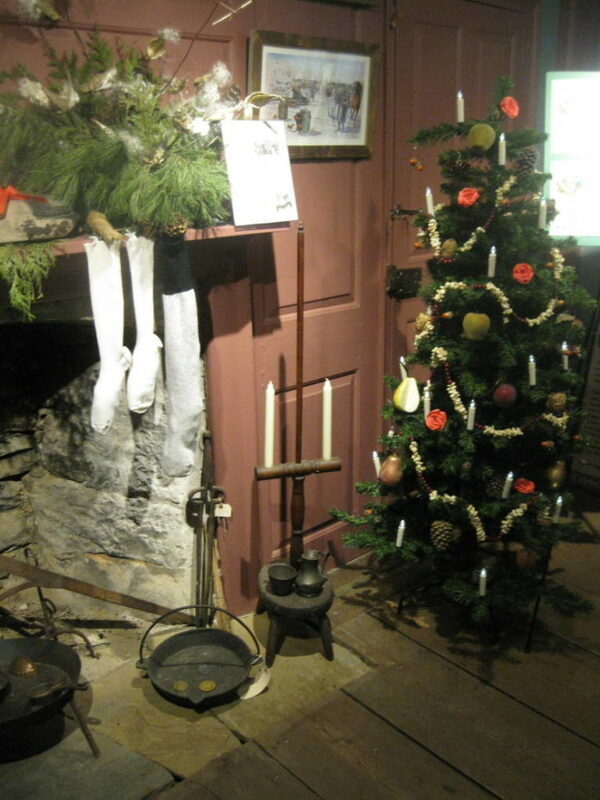 Participants will also discover the origins of many current Christmas traditions including the hanging of stockings and wreaths and the sending of Christmas cards. As part of the event, GBHS will hold a “Celebration of Chocolate” featuring a chocolate fountain, hot chocolate and other chocolate delights. The event is free and open to the public. The exhibit will run through January. For more information, contact the Great Barrington Historical Society at (413) 591-8702 or info@gbhistory.org. Pittsfield — Berkshire Community College and Berkshire AHEC will hold a forum titled “Battlemind” Thursday, Dec. 6, from noon to 2:00 p.m. in BCC’s Hawthorne Hall, Room 402. According to the Walter Reed Army Institute of Research, “Battlemind skills helped you survive in combat, but may cause you problems if not adapted when you get home.” The Battlemind training provides veterans, family members, clinicians and first responders the tools to identify a veteran in crisis and to get him or her to appropriate help or treatment. “Battlemind” will be presented by Gabriel Nutter, who was medically discharged from the U.S. Army in 2008 and has been working with the Massachusetts Department of Veterans’ Services since 2011. 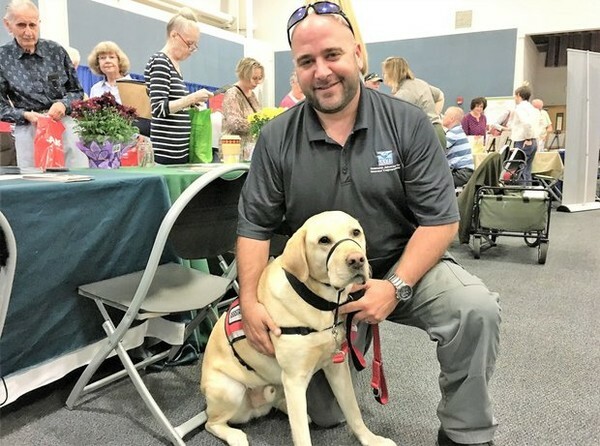 He is a team leader for the department’s Statewide Advocacy for Veterans’ Empowerment (SAVE) program for western Massachusetts. For more information, contact Berkshire Community College at (413) 499-4660. Great Barrington — On Friday, Dec. 7 at 10:45 a.m., the Jewish Federation of the Berkshires’ Knosh & Knowledge program will present author and scholar Roselle Kline Chartock for an overview of “The Jewish World of Elvis Presley” at Hevreh of Southern Berkshire. Elvis and Jews—at first glance, notes Chartock, the two words don’t seem to go together. But Elvis Presley—a poor, fundamentalist Christian boy from the Deep South, an area known historically for its anti-Semitism—developed an affinity to Jews. In her talk, Chartock will explain some of the reasons for the development as well as the nature of Presley’s relationships with Jews, a little-known aspect of the life of the rock ‘n’ roll icon. 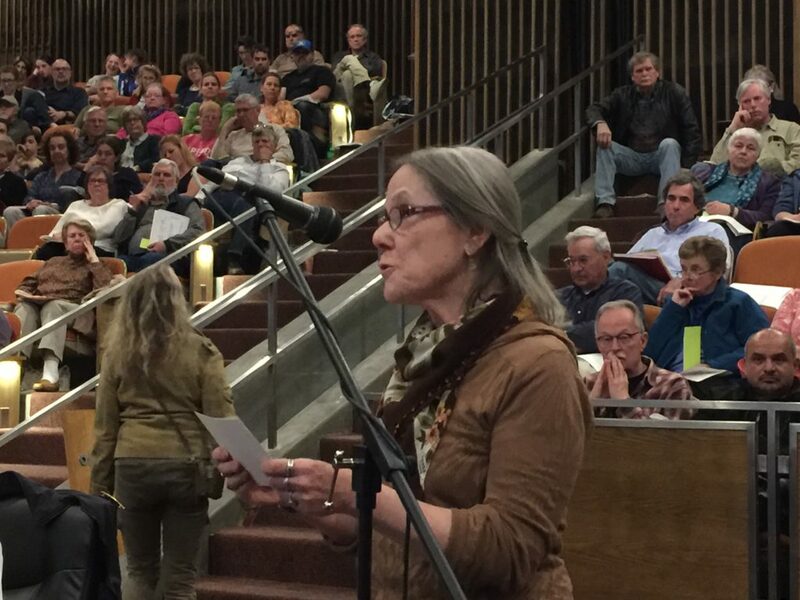 The program is free and open to the public, and will be followed by lunch for a cost of $11. For more information or to make the required RSVP for lunch, contact the Jewish Federation of the Berkshires at (413) 442-4360 x10 or federation@jewishberkshires.org. Ghent — In celebration of the 2018 Ghent bicentennial, Art Omi will host “All of Us: Portraits of the Ghent Bicentennial,” a series of photographs of Ghent residents captured throughout 2018 by photographer Richard Beaven, Thursday, Dec. 5, through Monday, Dec. 10. 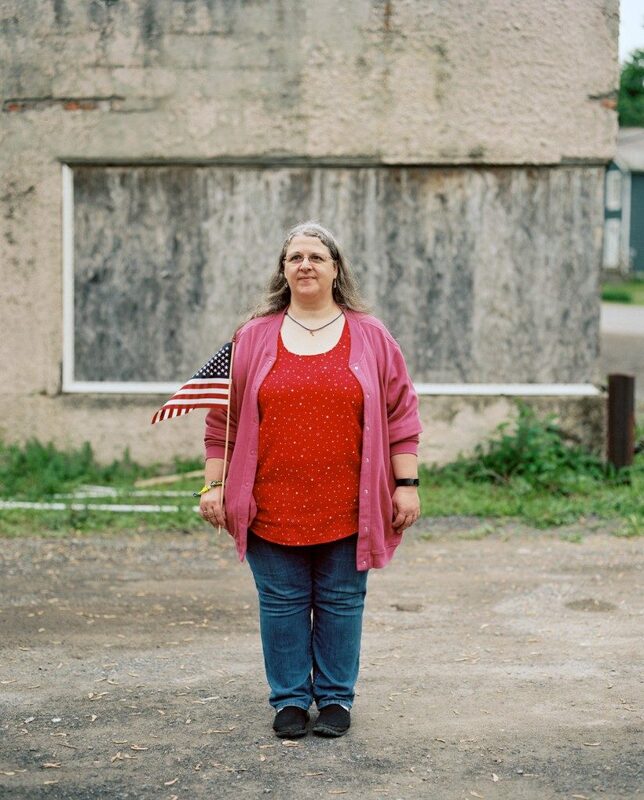 The exhibition opening celebration will take place Saturday, Dec. 8, from 5 to 7 p.m.
“All of Us” is a broad photographic survey of the present-day Ghent citizenry, and includes portraits of 275 residents, or nearly 5 percent of the total population of 5,400. “All of Us” is the last in the yearlong series of events commemorating the 200th anniversary of Ghent’s 1818 founding. Other highlights included the Oct. 13 Ghent Community Day and Parade, and the publication of “Ghent 1818-2018: A History of Our Own” by town historian Gregg Berninger. Beaven is a British freelance editorial and documentary photographer based in Ghent. His regular clients include the Guardian and the Wall Street Journal. His portrait work was recently featured in the National Portrait Gallery Portrait Prize, Head On Photo Awards, National Press Photographers Association’s Best of Photojournalism and American Photography 33.